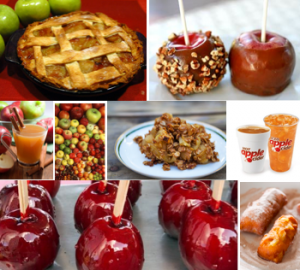 Fall is officially in full swing and while most of us have overdosed on all things apple (Lord knows I have…. …it’s safe to say I’ve indulged in all of the above) those who attended the Fall Open House at La Petite France Bakery this past Thursday had the opportunity to step away from the fall foods and enjoy some authentic French delicacies! We helped Alexandra Litor, the owner of La Petite France coordinate an open house for her regular customers as well as residents unfamiliar with the bakery. With a little PR, and local newspapers and bloggers spreading the word, we had an incredible turn out. 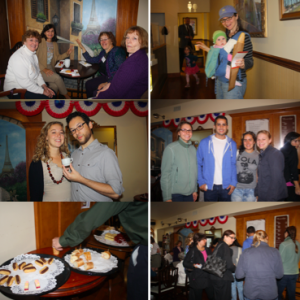 Early guests were lucky enough to snag samples of a variety of authentic French pastries ranging from mini-éclairs to croissant sandwiches, to raspberry tartlets. In addition to the regular menu items, there were sample sheets of cake and icing combinations, courtesy of the new in-house cake baker- Katie Gray. It is safe to say that all in attendance had a good time, nothing better than a little event marketing and free food! Visit the La Petite France Facebook page to see tons of photos from the event. 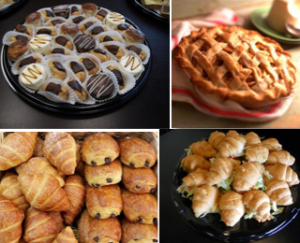 La Petite France has a wonderful reputation in the West Hartford community; however, many people don’t know that they offer catering platters- customers can create their very own trays of breakfast pastries, lunch sandwiches, or traditional desserts. Their tasty platters are perfect for nearly any occasion- especially the holidays. With that said, La Petite has an incredible Thanksgiving offer right now- they are taking 20% off your entire Thanksgiving purchase! That includes pies, pastries, and platters! 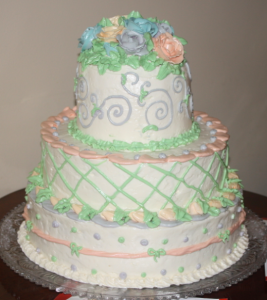 You can contact the bakery directly for more information 860-231-9255. *And a heads up for crepe lovers…the weekend of November 12th and 13th, La Petite France will be celebrating their two-year anniversary with a Crepe Weekend! Visit their website or Facebook page to find more details about that.